Denise Elizabeth Stone is originally from the Texas Panhandle and currently lives in eastern Oregon. A complex interplay of color and texture characterizes the mystic/mythic landscapes, animals, and figures in Denise's art. Denise has a bachelor of science in education and a master of arts in counseling psychology, and she holds Oregon licensure as a Licensed Professional Counselor. Lifelong curiosity and mindful observation of the natural environment, coupled with her abiding interest in the psychological nature of transformation, Jungian archetypes, and the Divine Feminine permeate her artistic expression. She has worked in pastels, colored pencil, and watercolor. Her signature medium is batik watercolor, an intricate process that uses handmade Asian papers, watercolor or gouache, wax, and ink to create paintings that are the creative descendants of traditional silk and cotton batik fabrics. The textural and multilayered characteristics of batik watercolor make it an excellent vehicle for her creation of a visual understanding of how we make meaning from what we perceive. While each of Denise Elizabeth Stone’s paintings carries its own meaning and story, it is within the context of her professional training, artistic vision, and distinctive technique that her body of work conveys its significance. 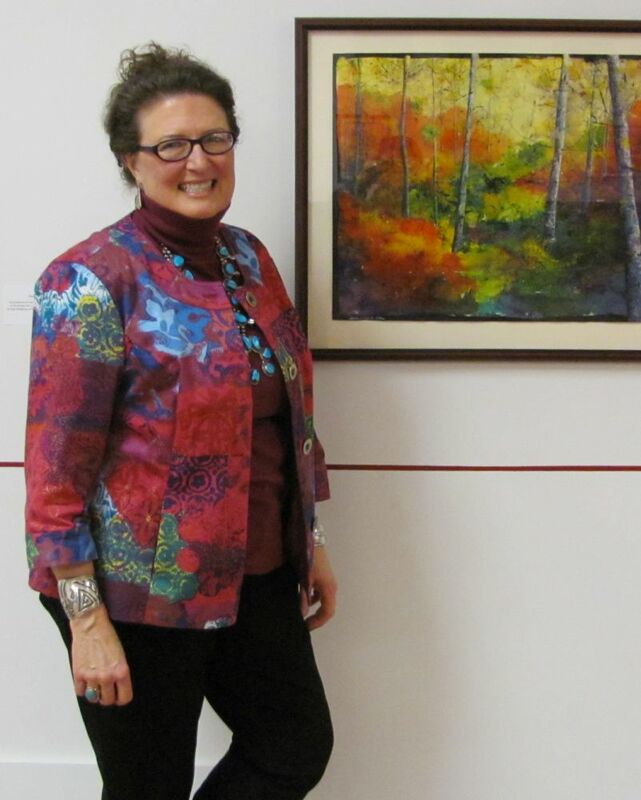 Denise's art training has come from classes and workshops taught by talented local artists, distance education classes from a community college, and collegial art experiences with artist friends. She is mostly self-taught. Her work has been shown in the galleries, festivals, and art shows of eastern Oregon and western Idaho. Her work is sold at Blue Turtle Gallery in La Grande, OR (www.blueturtlegallery.biz), regional shows, or through her home studio, The Rowdy Goddess, and website, www.therowdygoddess.com. Best of Show 2D, Season’s Faire, Nightingale Gallery, La Grande, OR, 2012. Second Place, Art at the Crossroads, Crossroads Gallery, Baker City, OR, 2012. Judge’s Choice Award, Art at the Crossroads, Crossroads Gallery, Baker City, OR, 2011. Honorable Mention, Wallowa Festival of the Arts, Joseph, OR, 2010. Honorable Mention, Season’s Faire, Nightingale Gallery, La Grande, OR, 2008. Second Place 2D, Art at the Crossroads, Crossroads Gallery, Baker City, OR, 2008. People’s Choice Award, Art at the Crossroads, Crossroads Gallery, Baker City, OR, 2008.